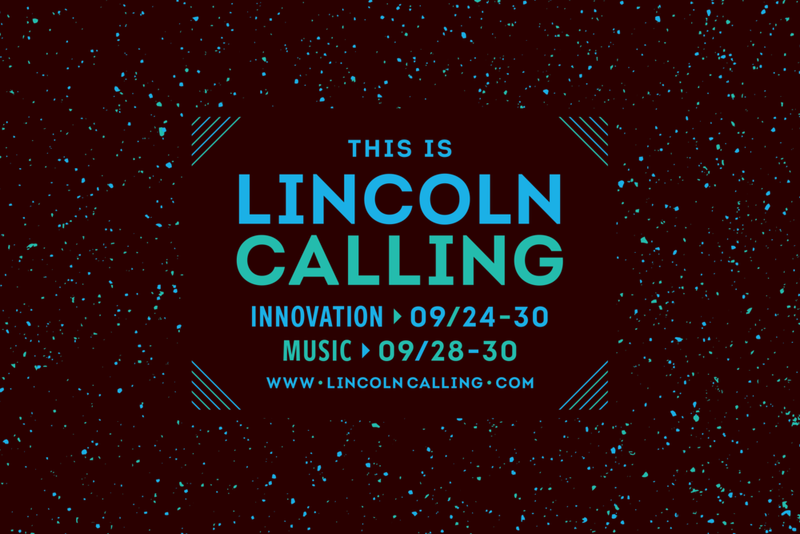 Hear Nebraska meaningfully connects and engages fans, artists, and communities through music journalism, education, and events. On January 1, 2018, The Bay and Hear Nebraska officially merged as programs under a new 501c3 called Rabble Mill. 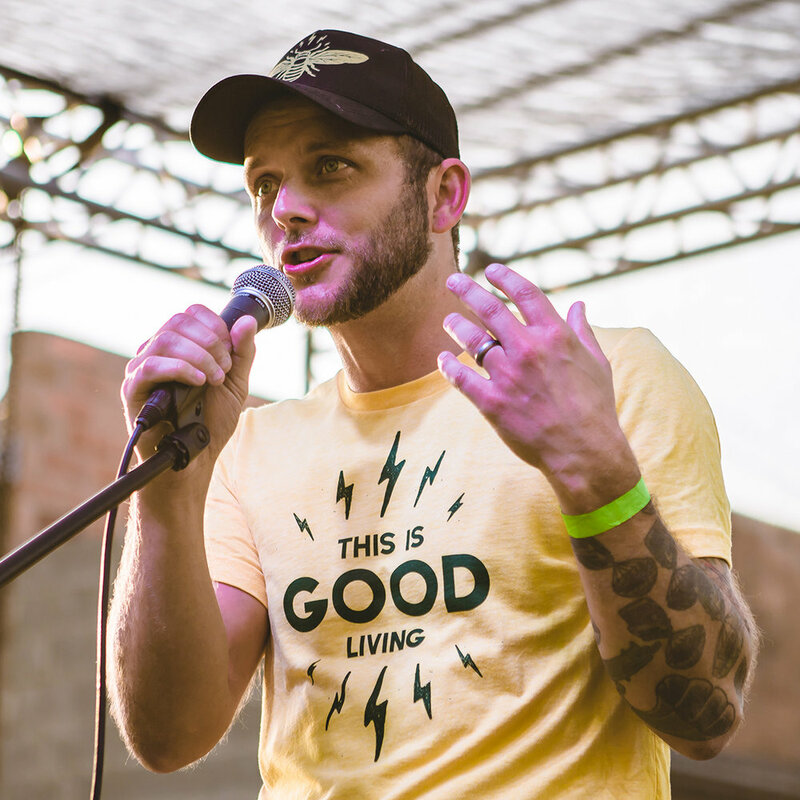 A very exciting time for these inspiring organizations. The branding was crafted by the stellar Secret Penguin. 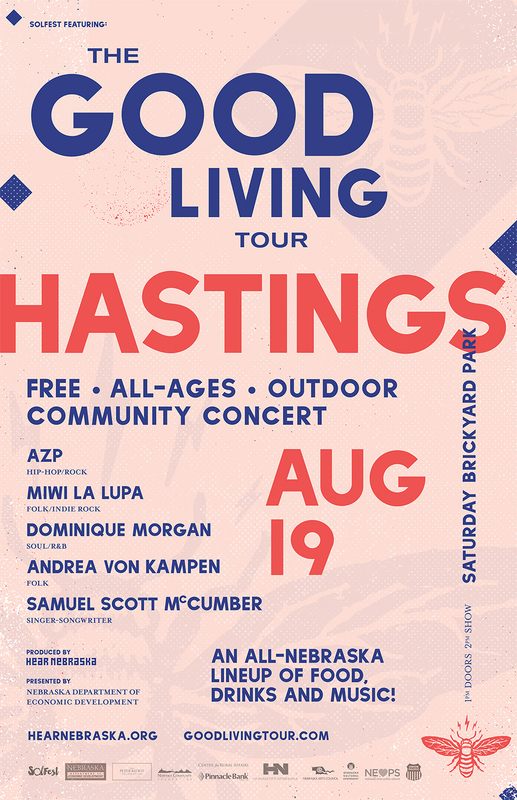 In 2017, The Good Living Tour and Lincoln Calling organized by Hear Nebraska launched with updated branding and a fresh sensibility led by the design team at Round & Round. 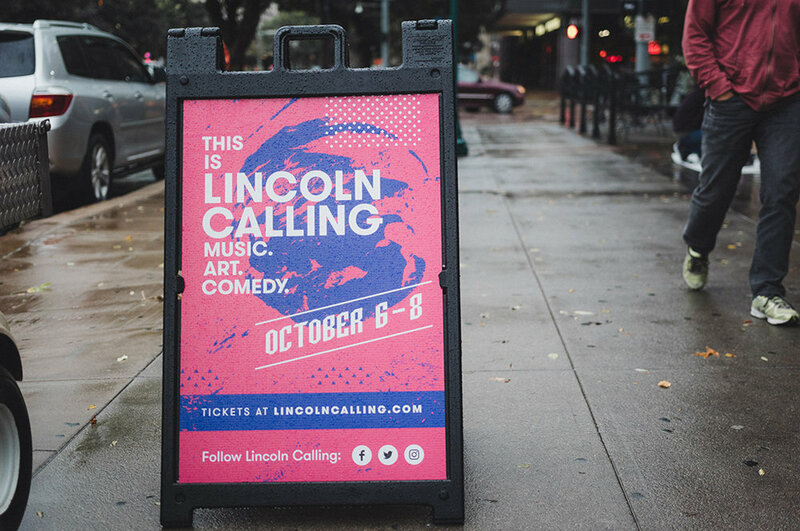 The lineups were amazing and the events went off extremely well. 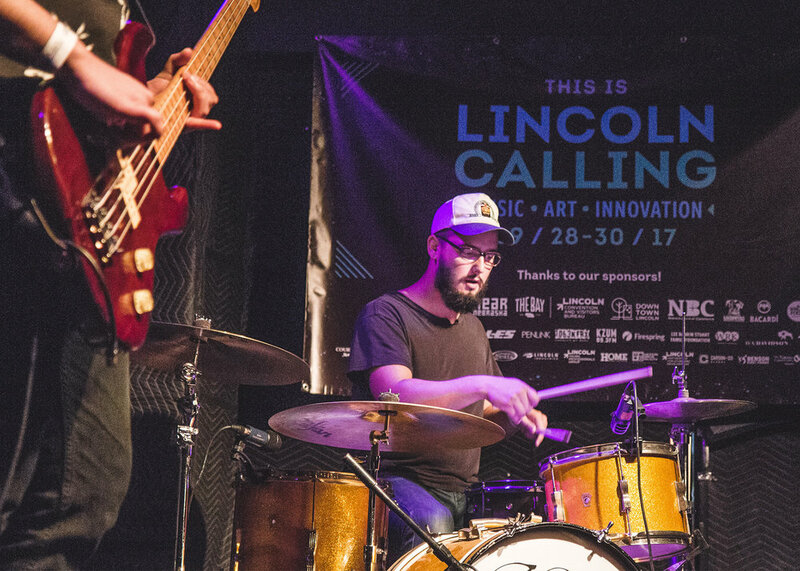 Another successful year for two of the Midwest’s most interesting music festivals. Need swag? In 2016, the crew at Round & Round (Jake, Adam, and myself) were the design partners throughout the year. We helped evolve their original branding created by Eric Nyffeler and take them to the next level of organizational status. 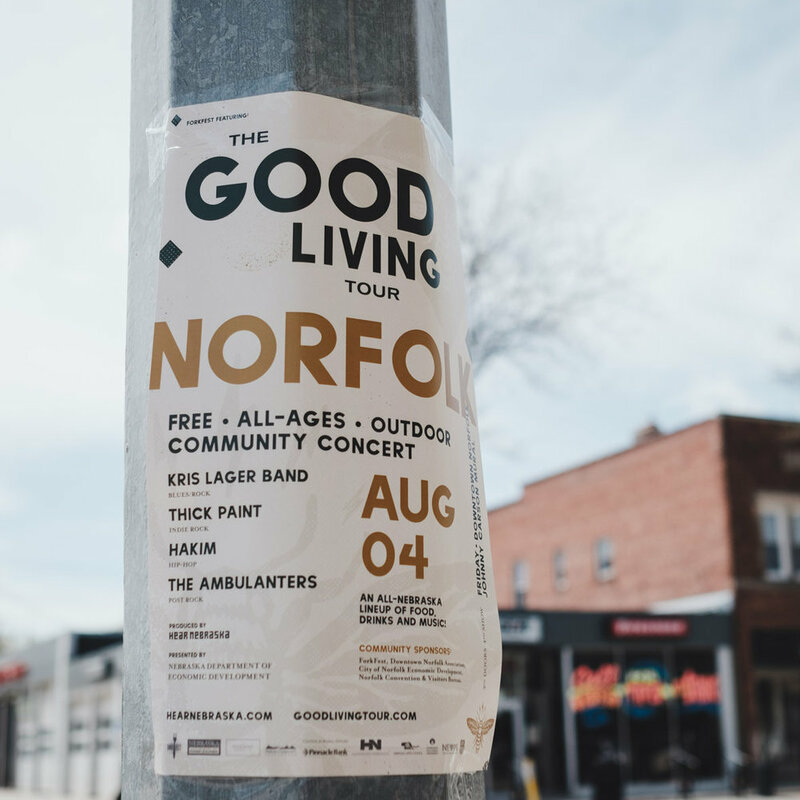 In addition to their core brand assets, we designed The Good Living Tour, Lincoln Calling, and a Support Local Music project. Sadly, both Kali Uchis and Charley Bradley had to cancel. 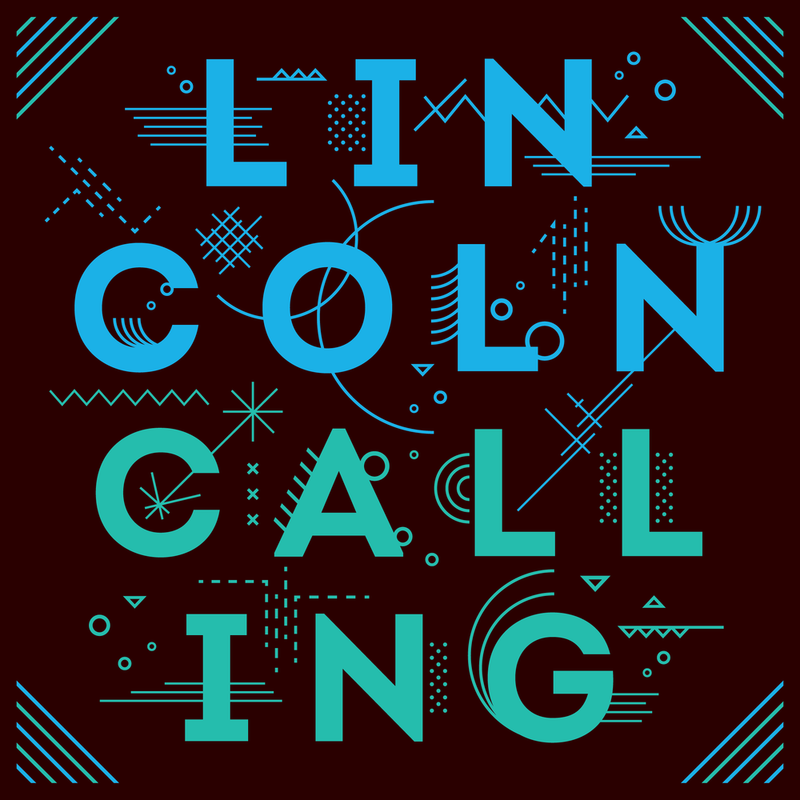 Note: For the years we did Lincoln Calling, our approach was to remove any specific reference to a place, either with buildings, landscapes, or historical figures. We didn’t want to rely on such things. We wanted to instead design for the sonic storm cloud that the festival ultimately is. A loud, epic thunder crash if you will. 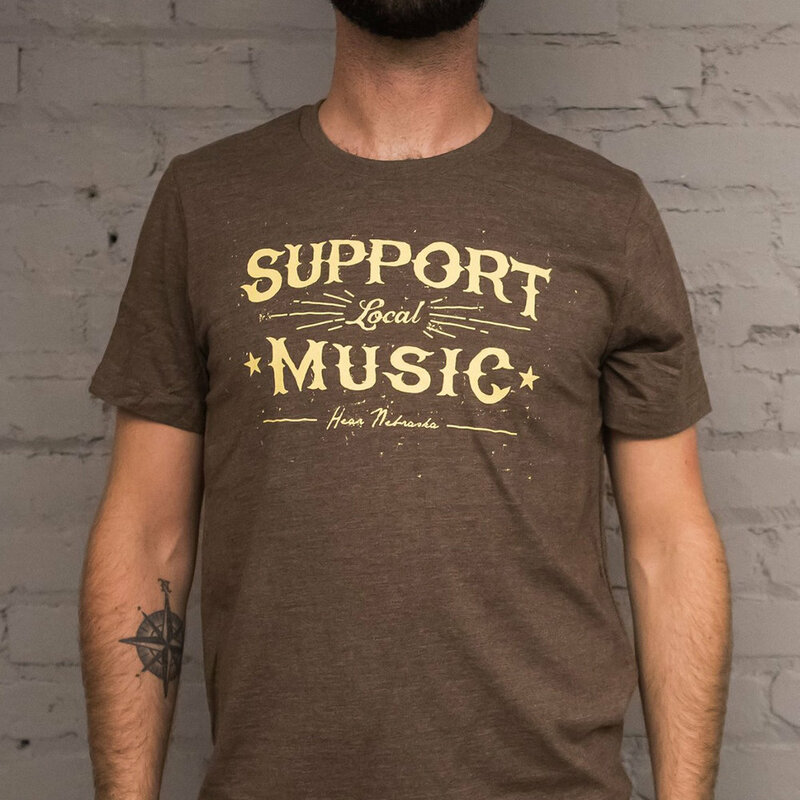 The music event of the Midwest. 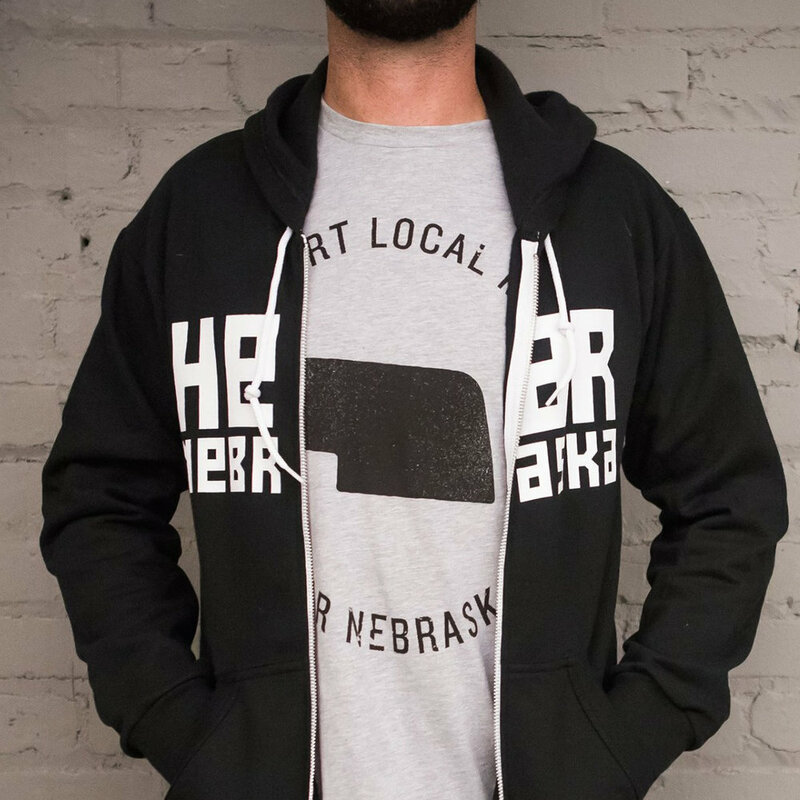 Finally, be sure to check out the Nebraska Vinyl Archive launching in 2018! Round & Round collaboration with Jake Welchert and Adam Casey working closely with Andrew Norman and Aaron Markley. Photo library via Hear Nebraska. 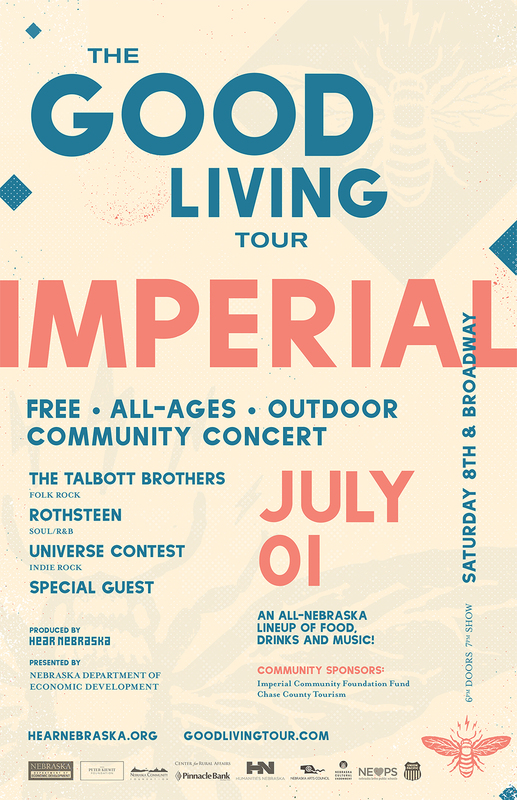 A celebration of Greater Nebraska and its small businesses that illustrate the quality livelihood small communities make possible. 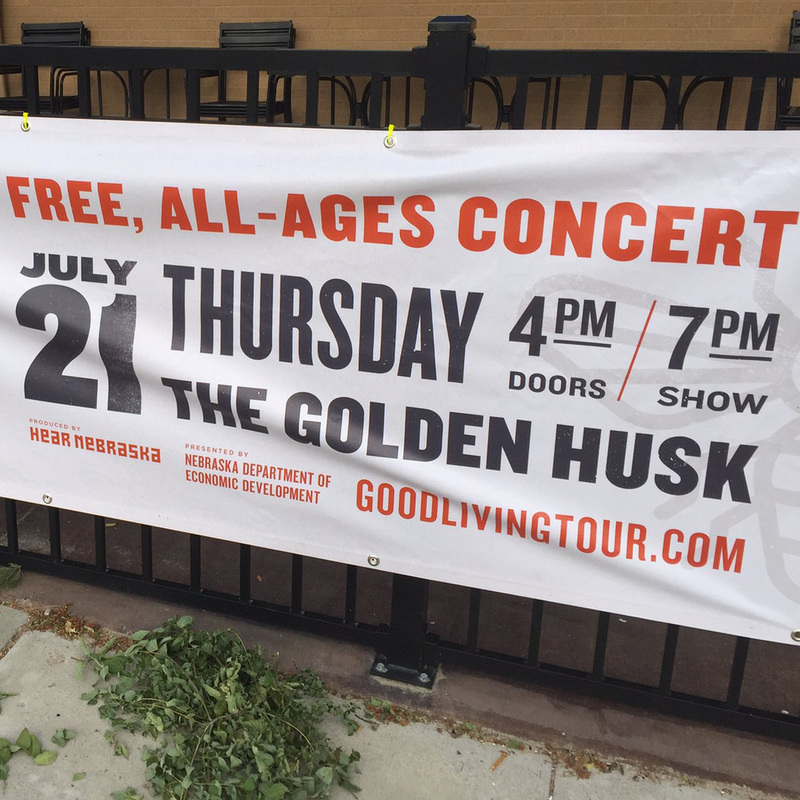 Our working relationship with Hear Nebraska began formally in 2015 when we designed the brand for the first year of the Good Living Tour. The state’s official insect, the honey bee is social and communal, but has a fierce sting when attacked. Its energy and productivity is legendary. And it uses a form of dancing to communicate. Just like Nebraskans. Nebraska’s rivers and streams represent the importance of our land, and of the fresh flow of new resources, ideas, and culture that help our people, towns, and state grow.